For many people, the pets in their lives are as precious to them as any other family member. 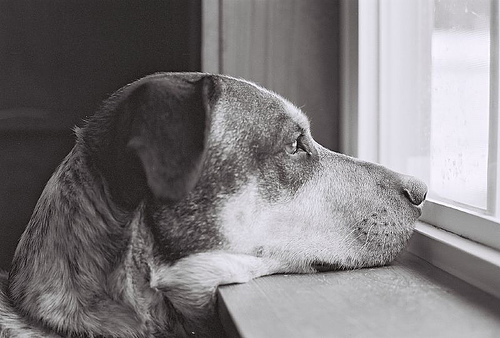 The dogs, cats, birds, and other animals in our lives have been there for us through thick and thin and the thought of not being able to be there for them is heartbreaking. Take time this month, which is Responsible Pet Owner’s Month, to make a plan for dealing with unexpected illnesses or injuries for your pet. Make sure you know where their medical records are kept and include the address and phone number of the closest veterinary hospital that offers urgent or emergency care with your other emergency contacts. As you think through how you will cover the cost of veterinary care, look into the options you have for pet insurance. Just like medical bills for the people in our families, vet bills for a sick or injured pet can quickly add-up. Unfortunately, health insurance carriers don’t cover pets, regardless of their status as part of the family. As the costs gets higher, you may be forced to decide how much the life of your pet is worth to your family, something no pet owner should ever have to do. This is why companies, like Canyon Lands, offer a special type of insurance that provides coverage for your four-legged family members. Pet insurance is like health insurance for your pets. It helps to pay for veterinary bills when your cat or dog is sick or injured. It ensures you will never have to decide if you can afford to do what is necessary to save the life of an animal you love. Like other insurance policies, pet insurance comes with different levels of coverage. Some policies only cover your animal in times of illness or if they are injured in an accident. Other policies provide wellness care that pays for all or part of routine checkups, vaccinations, and other preventative care visits. As new procedures for diagnosing and treating serious illness and injury have become available for animals, the cost of veterinary care has increased. You would never hold off on taking your child or spouse to the doctor because you were worried about the cost, and you shouldn’t have to do that for your pets. Pet insurance makes it possible to provide your pet with the best medical care when they need it most and lets you focus on taking care of your pet rather than figuring out how to take care of the bill. As with any insurance policy, it is important to read through the documents associated with a policy you are planning on purchasing to ensure you understand what is covered and what it not. Many pet insurance policies cover illnesses, accidental injuries, and preventative care. The policy will generally have a deductible, just like many other insurance policies, that must be met before coverage starts. Policies may also require a co-pay with each visit or that you pay a percentage of each bill. Some policies offer additional coverage that can help pay for standard medications and dental cleanings. Because there are many variables that impact the premium for pet insurance, the best way to determine what your cost would be is to talk to an agent. Factors that impact your premium include what kind of pet you have, how old they are, where you live, and what kind of coverage you are looking to put in place. Pet insurance provides you with a safety net and the peace of mind that comes from knowing you will be able to be there for your pet without having to worry about whether or not you can afford it.